I came to Australia thinking I went there mainly for the degree. And to a point, this was true. Anything that had something to do with studies was always given priority (okay, almost always Ü), and the world stopped whenever assessment period came around. It was clear to me that I wanted to learn as much as I could and finish the program well and on time. So those are some of the things I made sure I did. After reading way too many journal articles and downing way too many cups of coffee, I earn the right to rock this academic dress. But the thing about putting your life on hold and leaving the comforts of home for a while to accept a scholarship overseas is that you can – if you choose to – turn your time abroad into anything you want it to be. I mean, you’re already going out of your comfort zone anyway. You might as well make it worth the trouble. 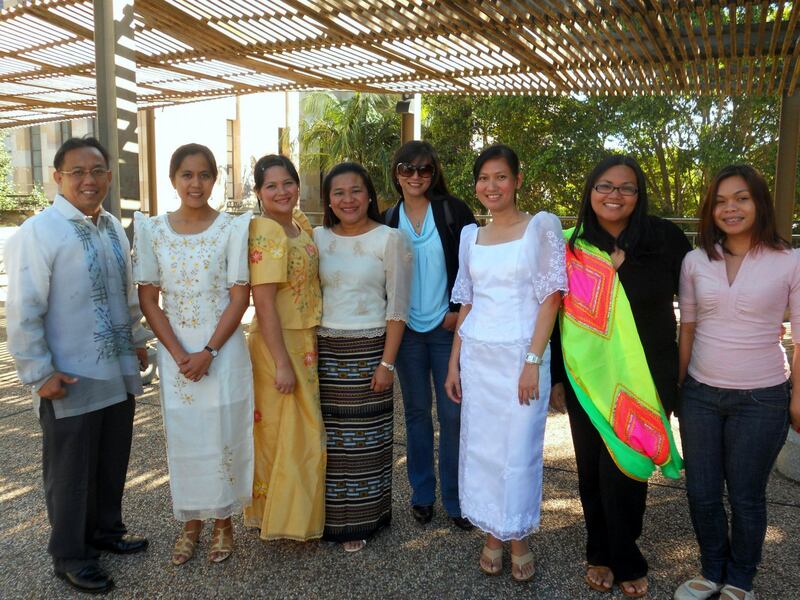 And so I learned about various education systems with classmates from all over the world. I spent hours asking questions and comparing notes after class or over dinner or coffee. Besides, I’ve always been in awe of how much you can learn if you’re willing to ask. 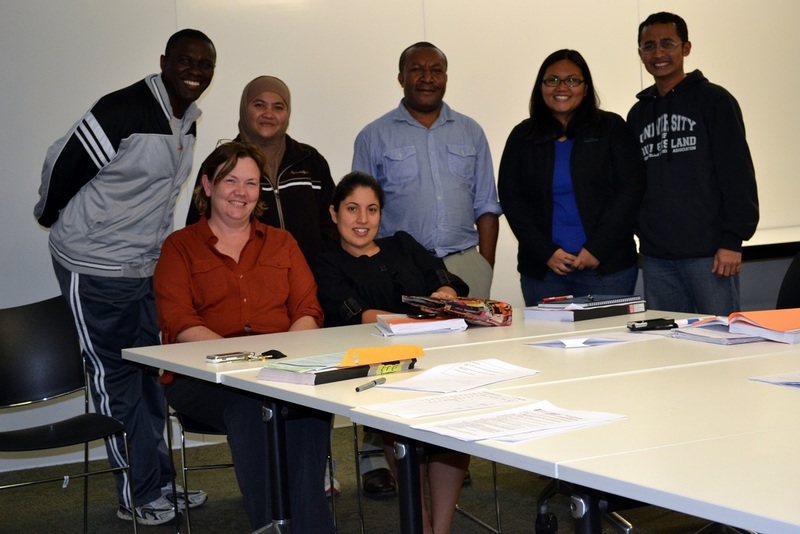 There were always at least five countries represented in each class I took at the University of Queensland. I’m not exaggerating. I got introduced to other Filipinos from all over the country who remain as hopeful about the future of the Philippines, and who are choosing to stay here despite the opportunity to earn more abroad. 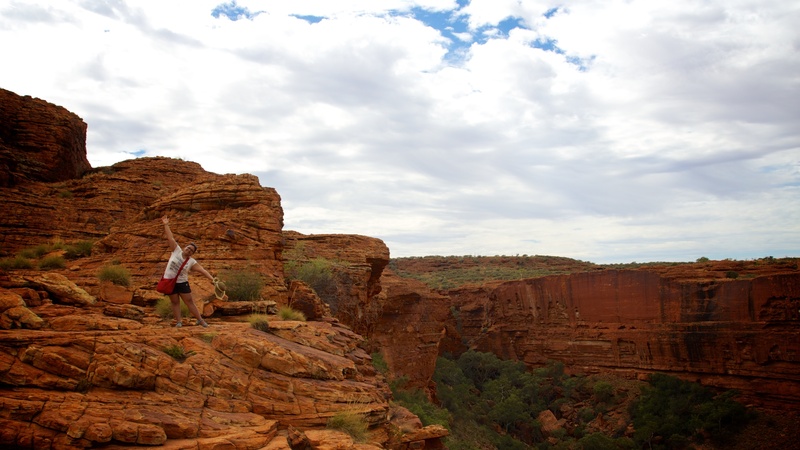 I tried so many things for the first time – from something as tame as eating kangaroo or camel meat to something as terrifying as jumping off a perfectly working plane. I volunteered to teach young Aussies how to read, and I put in some hours as a research assistant, too. 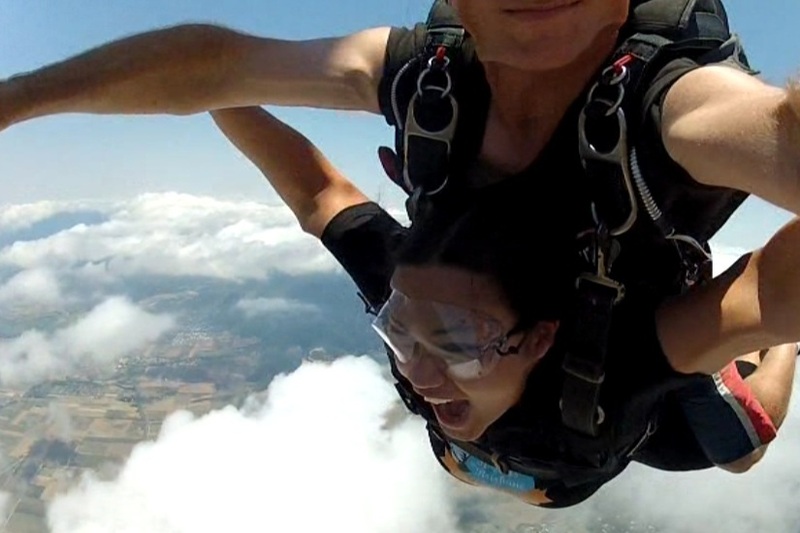 I really just wanted to touch the clouds, so I jumped and did just that. I picked up good habits like running and snacking on celery sticks. But lest you think I’ve turned into such a goody two-shoes, know that I learned how to flirt with strangers and enjoy wine in Australia, too. 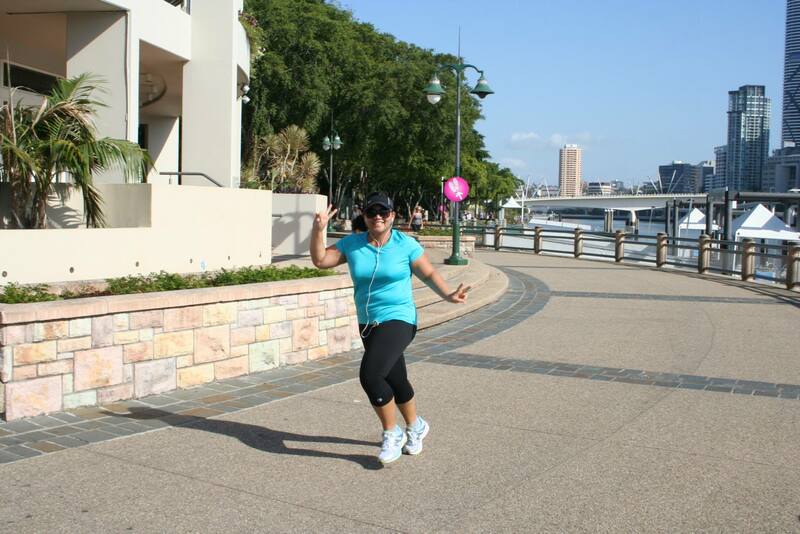 Hardly anyone left on the course but I because well, I’m a slowpoke like that. And I traveled. Like crazy. It’s expensive, yes, but you learn skills which will continue to serve you well long after you’ve come home. There’s time management, spatial intelligence, packing lightly, budgeting, following directions, carving your own path, being okay with being lost, enjoying your own company, living in the moment, and I’m just going to stop here because the list goes on and on and on. Selfies are for amateurs. What you need to do is travel with DSLR-lugging photography enthusiasts who are more than happy to take your picture! 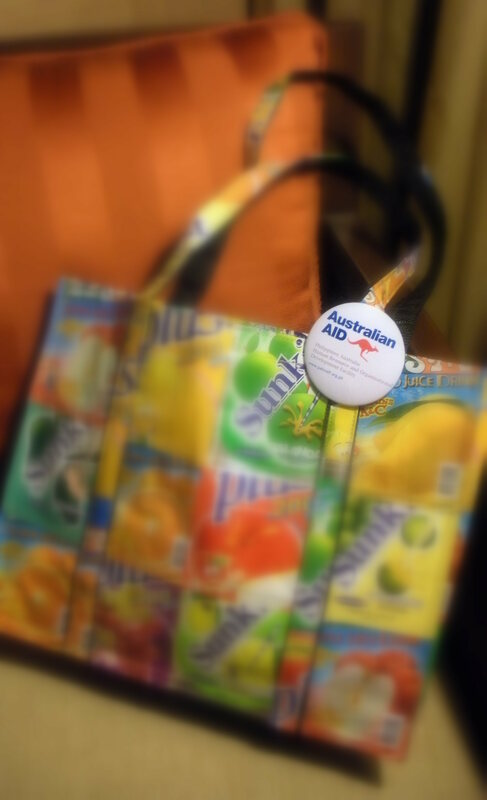 All these, I owe to the fact that I chose Australia Awards – or maybe it’d be more apt to say that Australia Awards chose me. Either way, I am very grateful not only for the last two years of my life and all that’s been epic about my time there, but also for the opportunity to come home and make a difference. Armed with a master’s degree, I know I can be more instrumental in improving basic education in this country, and in proving to the world that we are capable of greatness. 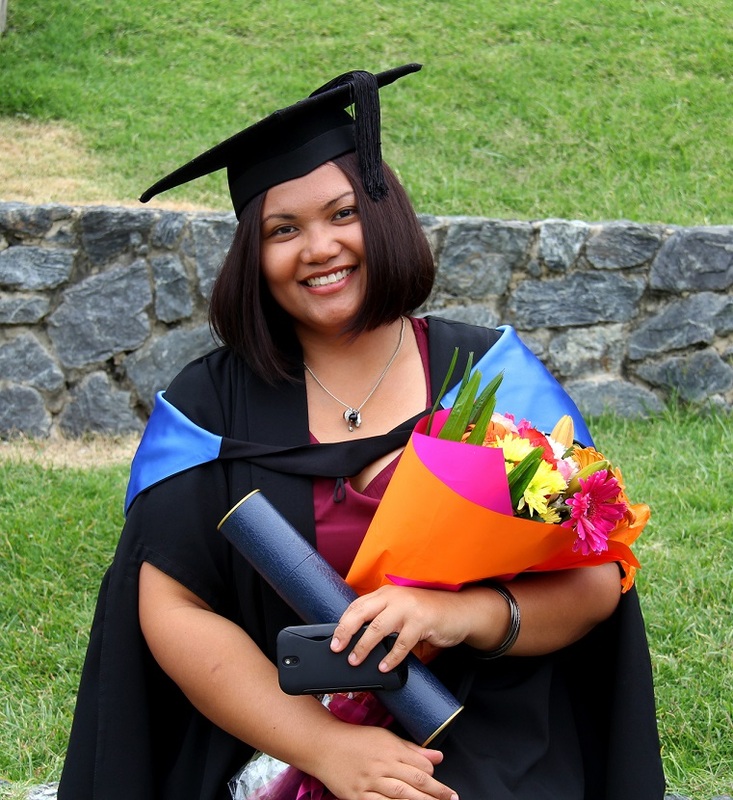 Donna Rasalan Lampa is one proud Pinay who took up her masters in Educational Studies from the University of Queensland in Brisbane under the open category of the Australia Awards program. Months after, she remains thankful for the two-year joyride. And hey, if you’re keen on starting your own Australia Awards journey, click here. The views of Chile and Patagonia are spectacular beyond words, and the soundtrack’s easy on the ears, too. But it’s really Future’s voice that makes all the difference in this video, I think. In this short piece that’s full of heart, we hear Future asking us to think about whether or not it is possible to find happiness in this life, and whether we’d be able to say – at the end of it all – that we enjoyed turning our time here on earth into an unforgettable joyride. Do yourself a favor and click the Play icon. I was all-smiles and awe-inspired by the time I finished watching the video, not to mention that I was itching to hit the road again and experience something new. 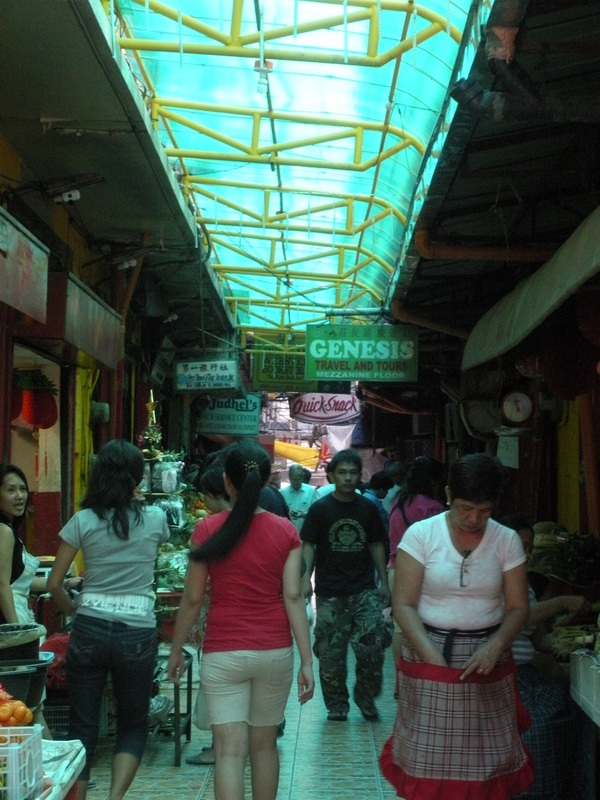 Established in 1594 (according to this website), the noisy and bustling town of Binondo is the oldest Chinatown in the world. No wonder it has this very old-world, turn-of-the-century, chaotic vibe about it that locals love to hate and tourists love to love. and The Minor Basilica of St. Lotenzo Ruiz, also known as Binondo Church. But it wasn’t that which beckoned my friends and I to brave the tricycle-then-train-then-jeepney commute (not to mention the pollution and the heat and that perpetual smell of incense emanating from every nook and cranny in Binondo) late last year. We came to see for ourselves whether the claim made by those who know their dumplings and their noodles is true: that the best and freshest Chinese food in the country can be found here. 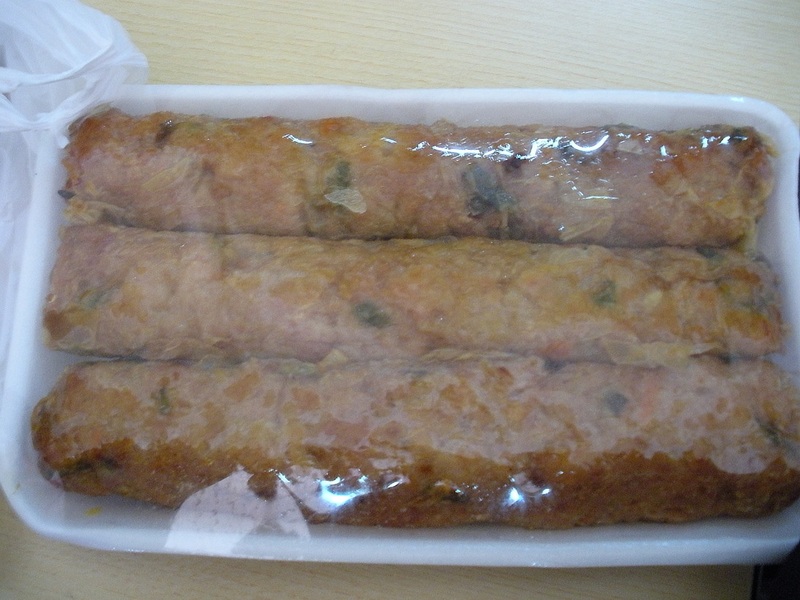 Last November’s Ultimate Food Trip in Binondo team was made up of Juay, Nherz, Amer and misslampa. We didn’t have time to get that famous red map put together by foodie and walking tour guide Ivan Dy, but with a little help from this very detailed post about doing a self-guided Ultimate Binondo Food Trip (thank you!) 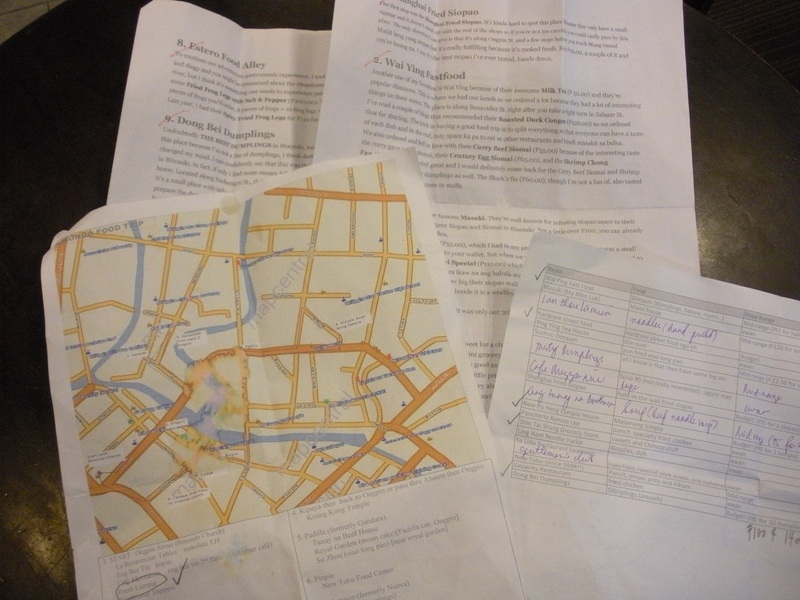 plus Juay’s Excel and Google Maps printouts, we conquered Binondo like a boss! And I tell you, what a food trip it was! We’re nerdy journalism majors and are well-trained in doing online research. As with all food trips, you must come hungry, and with your friends/lover/family in tow because the only way to make the most out of the experience is to share the food. Para makarami (so as to be able to cover more ground), as they say in Filipino. The trick, really, is to just sample the fare – no matter how good it is. Otherwise, the space in your tummy is bound to fill up, and fill up quick. And if that happens when you are just on your third stop, that would be a very sad thing indeed. Anyway, here are some of the fare we sampled, in the order that we sampled them. I’m including the streets on which the food shops are located for the benefit of those who are thinking of embarking on this kind of adventure themselves. They’re not always easy to find, I tell you, but knowing on which street they’re on is a start. I’m throwing in pictures of the signs in front of the store as well, because having an idea of what you’re supposed to watch out for is going to help you greatly. This sign isn’t visible from the street, though, so it’ll be good to ask around. The shop is located in what used to be the lobby of an old apartelle, or at least that’s how it seemed to me. The lady who prepared our lumpia said that on a regular day, they sell about 500 of these heavenly pockets of vegetables, seaweed and peanuts at P50 a pop. (exchange rate at P42.33 to US$1 at the time of writing). The classic Chinese lumpia. No fuss, sans meat, all good. along the famous eskinita that is Carvajal Street. we entered the dumpling mecca that is Dong Bei Dumpling. They have a limited menu, admittedly, but I didn’t find that a reason to complain. After all, just how many dumplings can I cram into my tummy, right? It’s a very cramped place, though, but this makes it easier for you to watch the demo show of sorts by the window while enjoying your food. During our stay there, one of the staff was making fresh egg noodles. 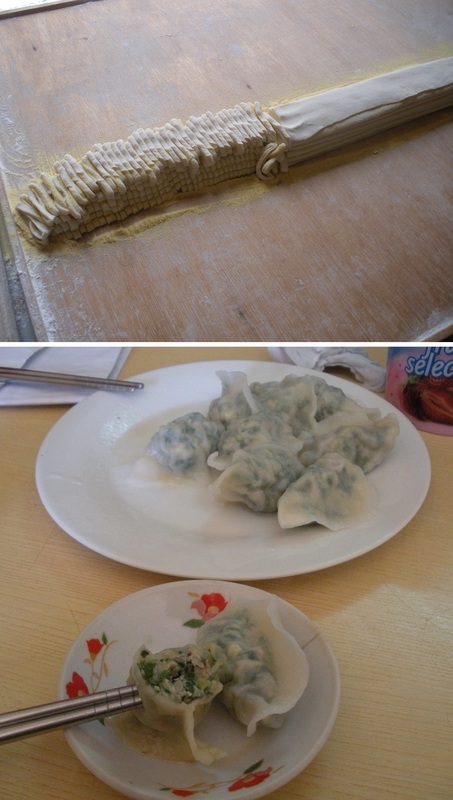 I did make tusok-tusok the kuchay dumplings (dumpling and chives, P100 for 14 pieces) with the steel chopsticks because they kept slipping. Sue me. We were more salt than sugar people, but we’ve read that Shin Tai-Shang Foods along Salazar Street sells good and pretty single-serve cakes. So in we went. We were already feeling a bit full by this time and we were just on our fourth stop, hala! Good thing we weren’t in the mood for sugar that day, so all we ended up getting was their green tea plum cake. We even had to share it among ourselves! It’s small and I still think it’s a bit pricey at P40 a pop, but in all fairness, it’s so compact and dense inside. We weren’t hungry at all when noon came around, but in the Philippines, everybody stops to eat when the clock strikes 12 noon. And hey, we were in the Philippines, right? So our unanimous decision to head to our next stop made perfect sense to me. 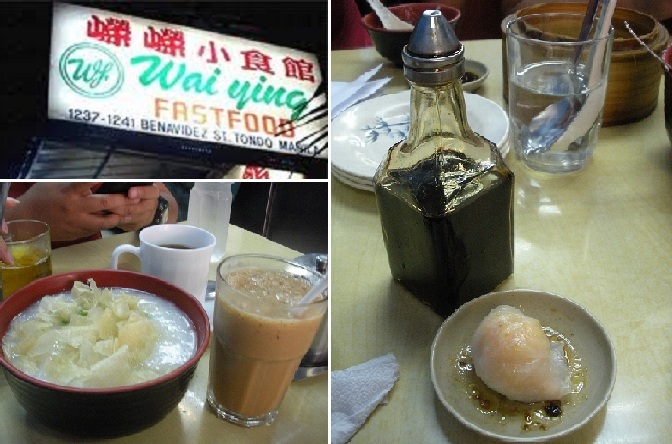 We trooped to Wai Ying Fastfood along Benavidez Street, specifically the part which intersects with Salazar Street. And there, we feasted on milk tea (P50), pork and century egg congee (P100) and heavenly hakaw (P65 for 4 pieces). This shop is the easiest to find, in my opinion. 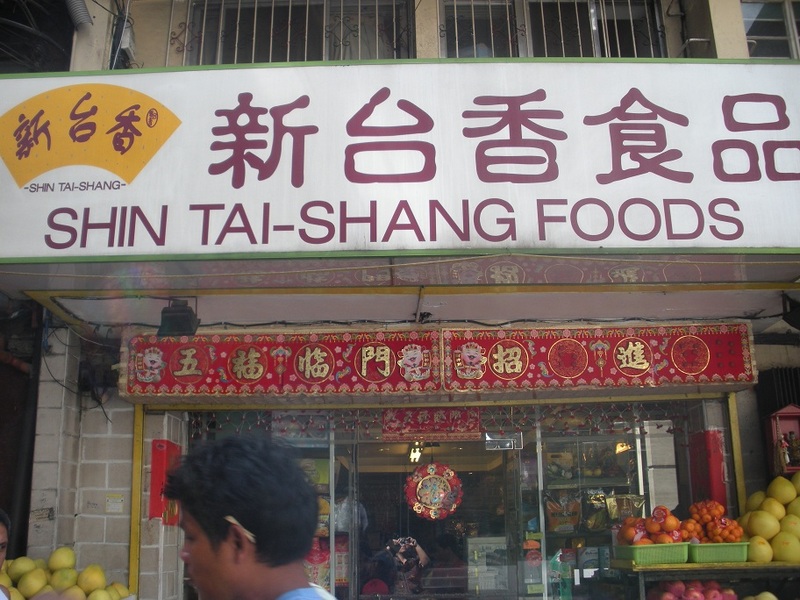 And I’ve been told it has other branches in Binondo, too! Correct. I’m sure that didn’t come as a surprise.